I love any recipe that uses up something that would otherwise get thrown away, and banana bread is a perfect example. I’m one of those people who only likes bananas before they start developing spots. This means that I usually only get about halfway through a bunch before I’m unwilling to eat the rest. 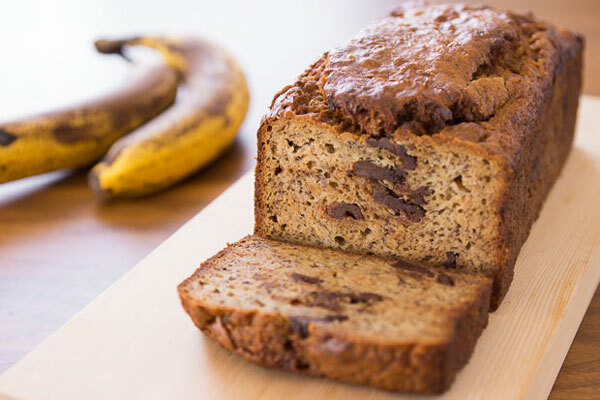 Since the key to a moist, sweet and flavorful banana bread is to use really ripe bananas, it’s the perfect way to get rid of the rest of the bunch before they end up in the trash. 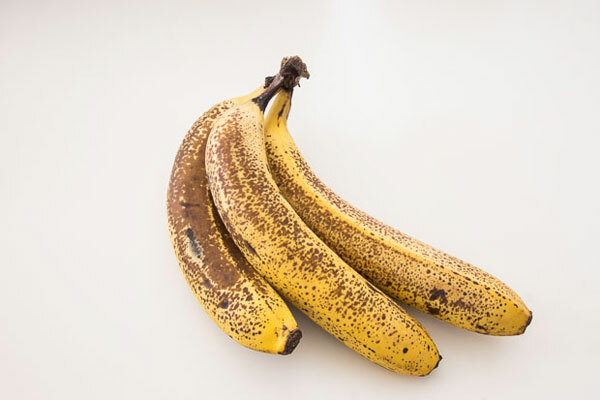 Aside from the fact that ripe bananas are sweeter and have a more intense banana flavor, they also have a lower starch content, which insures the bread stays moist. The thing is, I find plain banana bread a little boring, which is why I usually end up adding other things. My double chocolate banana bread has become a favorite in my household, but this time, I decided to try a banana bread with another one of my favorite ingredients: peanut butter! 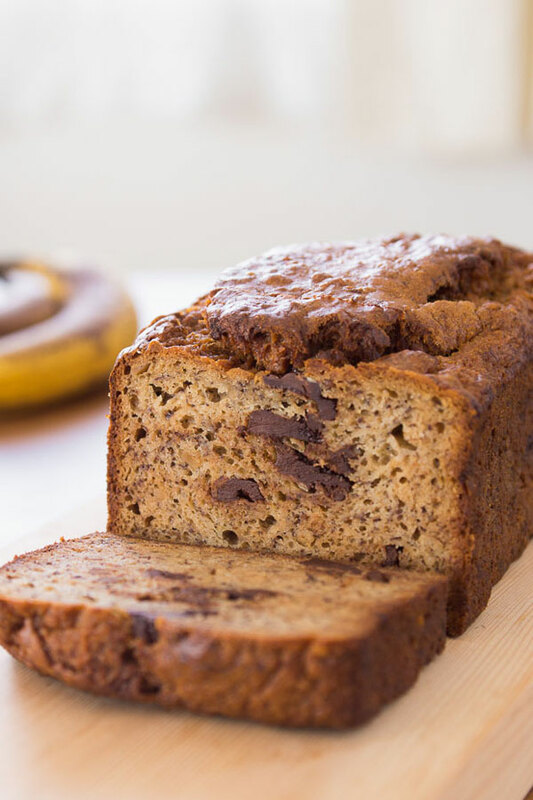 I mean think about it, peanut butter and banana sandwiches are amazing, chocolate dipped bananas are divine, and peanut butter chocolate cups are habit forming, so how awesome would it be to have a peanut butter and chocolate chunk banana bread? While I leave you to ponder that, let me just tell you that if you really want to go overboard, slice this bread up and make peanut butter banana sandwiches with it. Whisk the flour, sugar, baking soda and salt together. Put the peanut butter and butter in a small microwave-safe bowl and heat until melted. Whisk together and let the mixture cool enough so that you can touch it without burning yourself. In a separate bowl, add the mashed banana, yogurt and vanilla extract. 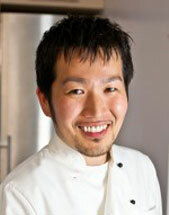 Separate the eggs, adding the yolk to the melted butter mixture and the white to the banana mixture. Whisk each one separately until combined and then dump the butter mixture into the banana mixture and whisk together. 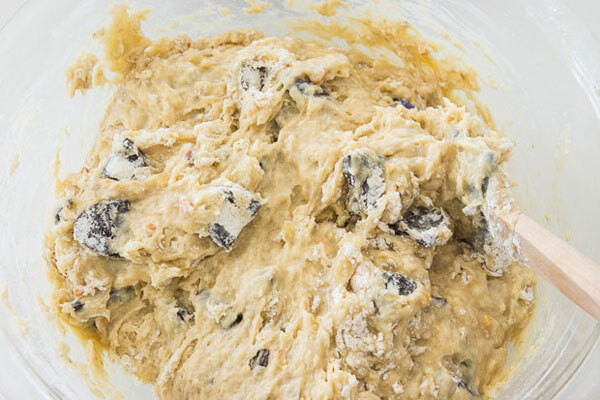 Add the wet ingredients into the dry ingredients, along with the chocolate and fold together with a spatula until the mixture is just combined. It’s okay if there are still small lumps of flour as long as there are no big pockets of flour remaining. Do not overmix. 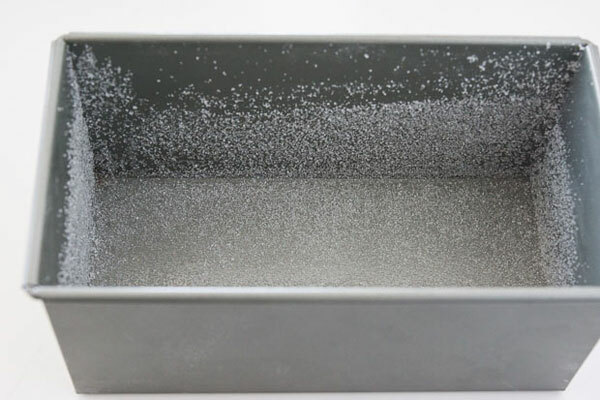 Add the batter to the prepared loaf pan and level off the top. Bake until a skewer inserted into the center comes out clean (about 50-60 minutes).